Ainsley loves Maleficent. 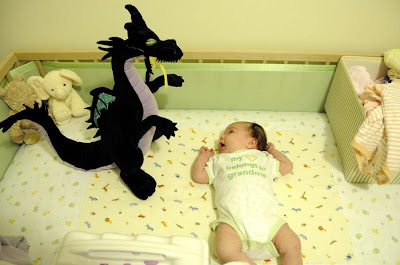 It was my idea to put the dragon in the crib, since she wouldn't know to be scared of it if we simply started her out with it. 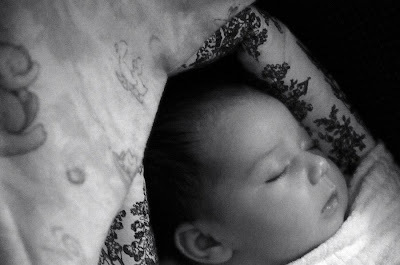 Whenever we put her in for changing and swaddling, she will stare at the dragon like this. Its pretty cute. Oh yes, and lets not forget that Ainsley's heart belongs to Grandma.